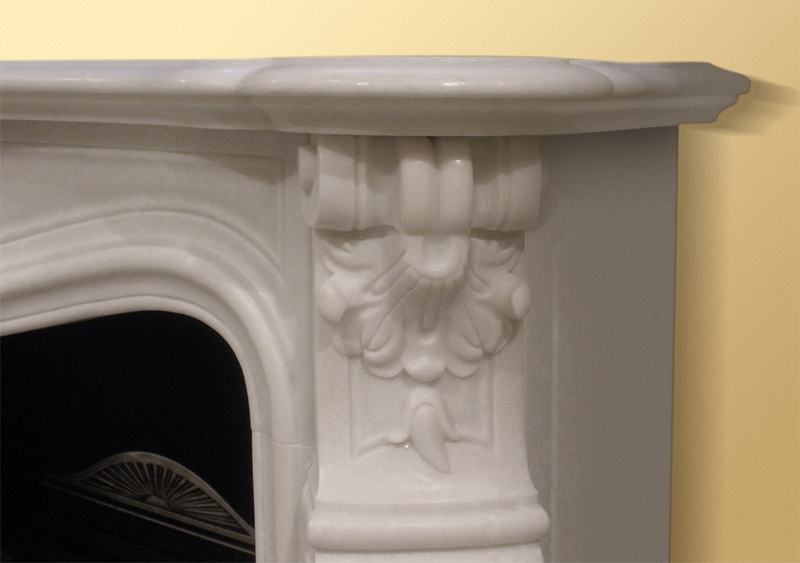 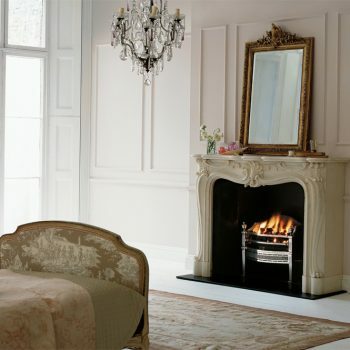 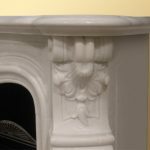 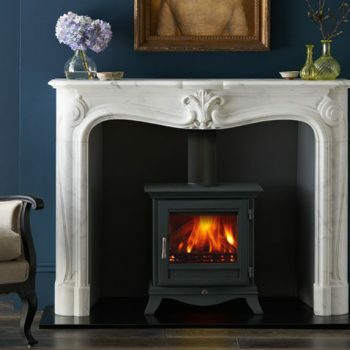 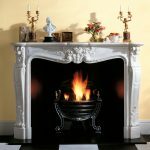 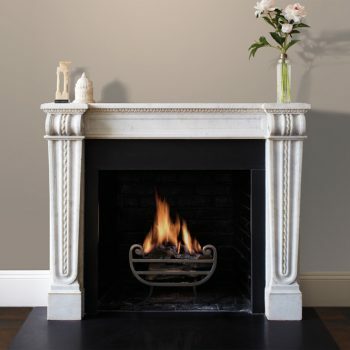 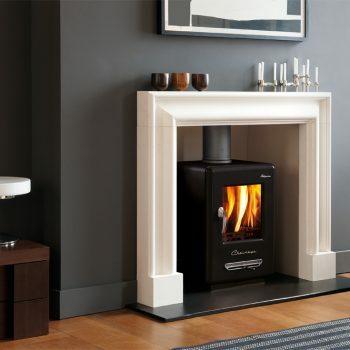 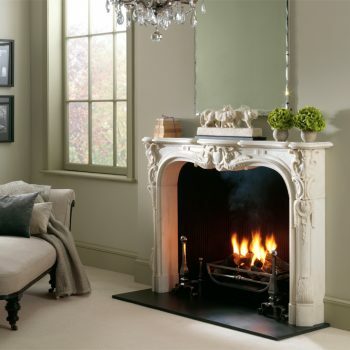 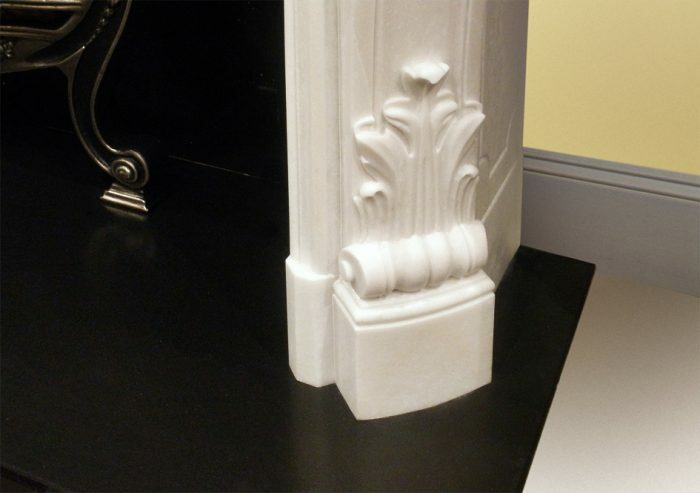 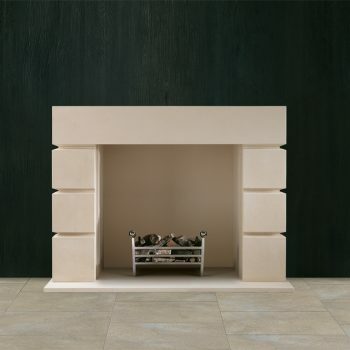 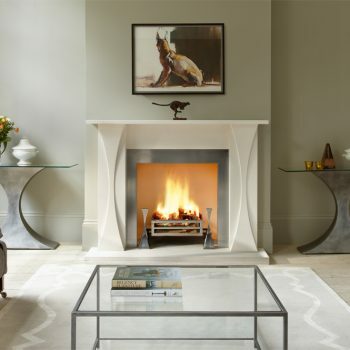 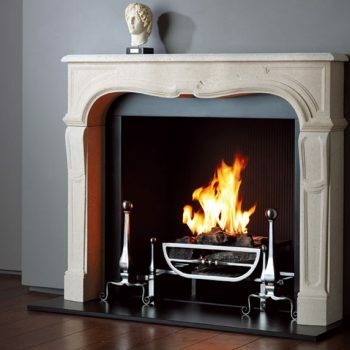 Sensuous curves and shapely mouldings characterise the Versailles fireplace. 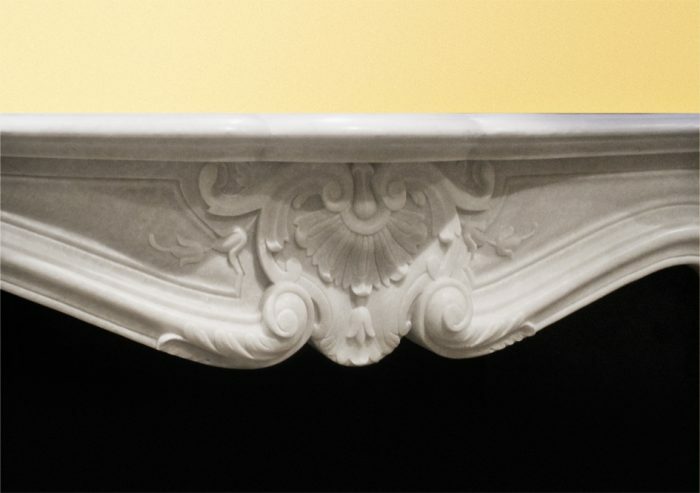 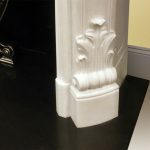 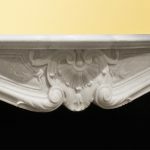 Rarely showing a straight line or a sharp corner its exuberant design is a magnificent example of Chesneys carving. It is shown in statuary marble with the Adam No. 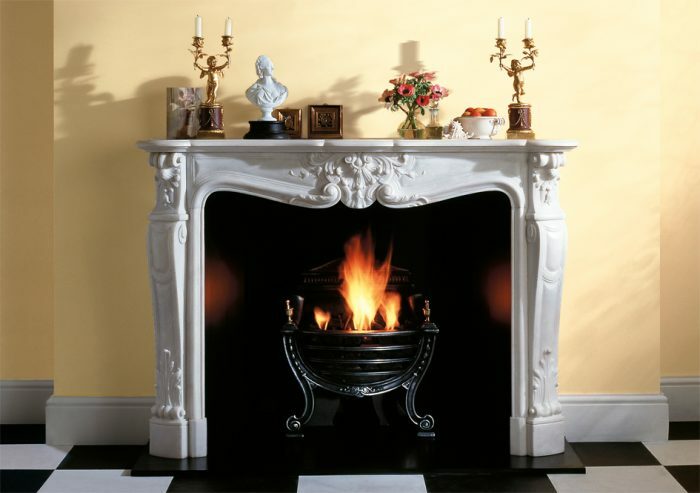 2 fire basket and black slate hearth.